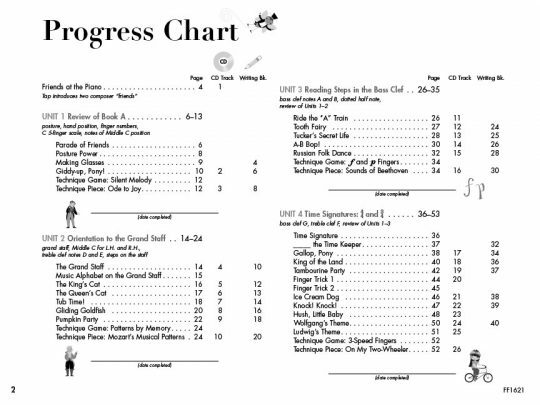 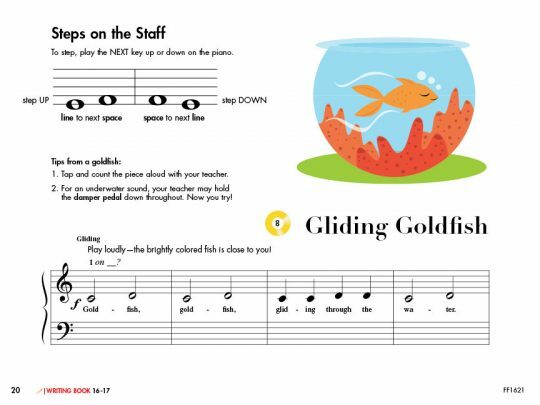 Book B of the Fabers’ method for the young beginner moves the student into staff‐reading. 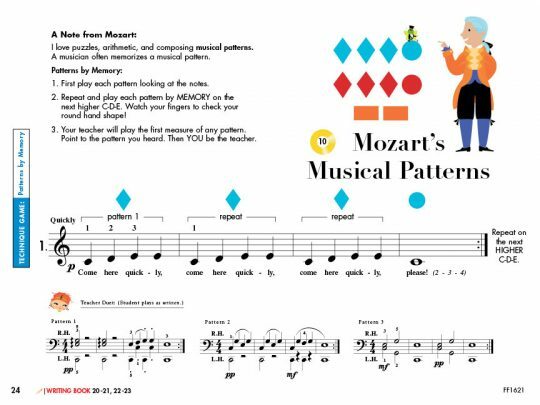 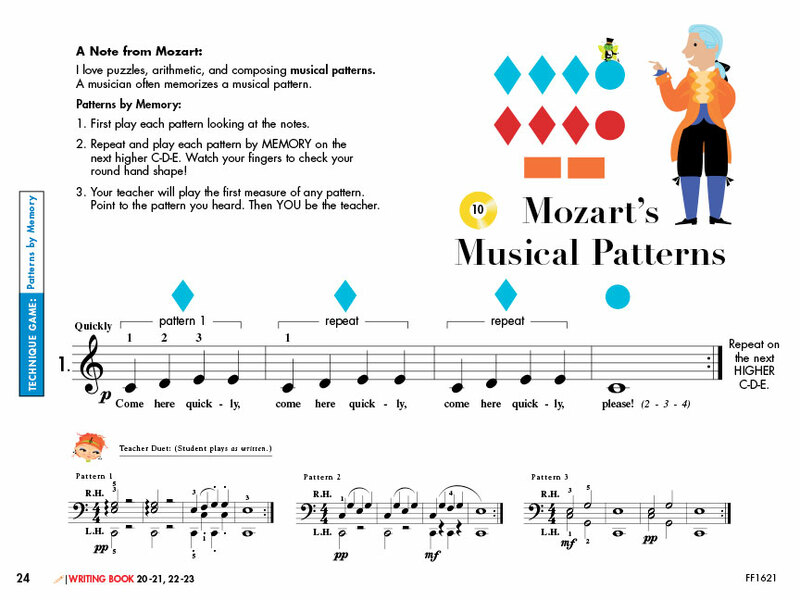 Music notation is explored through stepwise directional reading, pattern recognition, and changing hand positions, all in the context of engaging songs, games and creative exploration at the piano. 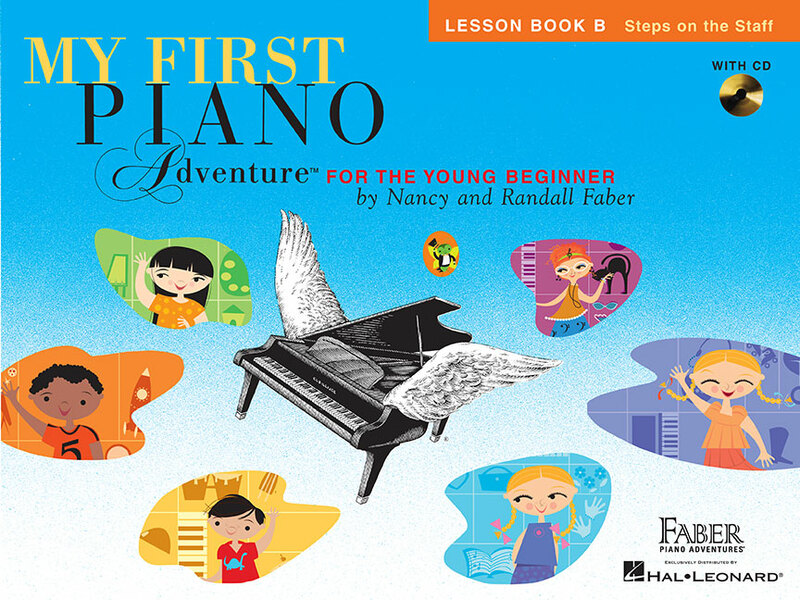 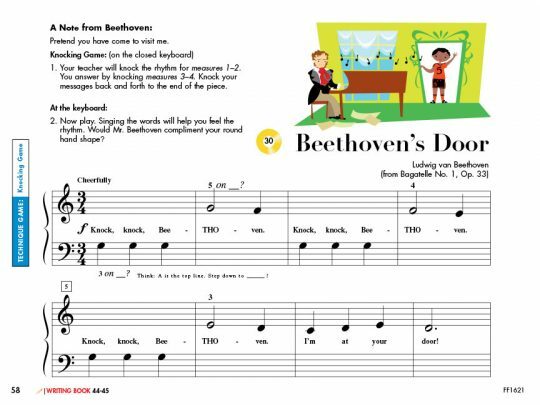 Maintaining the child‐centered philosophy of the series, the “friends at the piano” from the A Books introduce students to the music of two new composer friends – Wolfgang Amadeus Mozart and Ludwig van Beethoven. 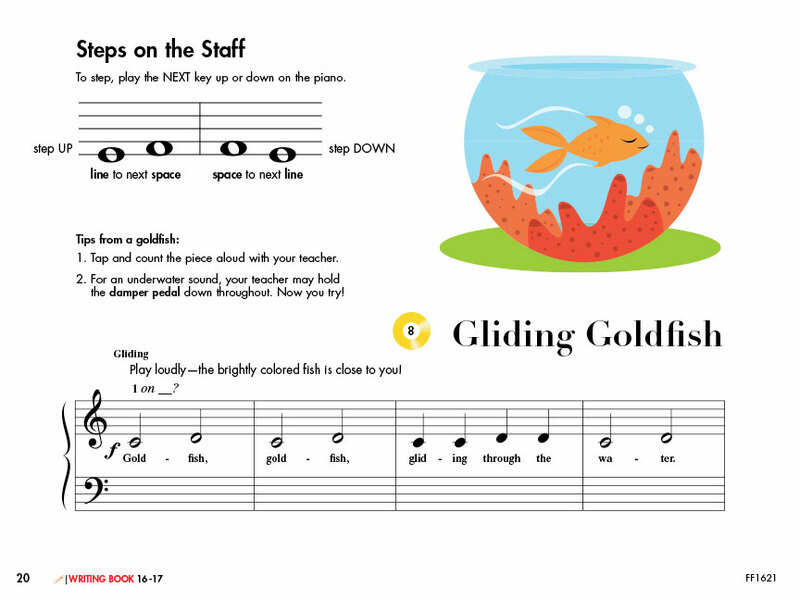 Classic themes share the stage with contemporary pop and jazz sounds for young ears to absorb and enjoy. 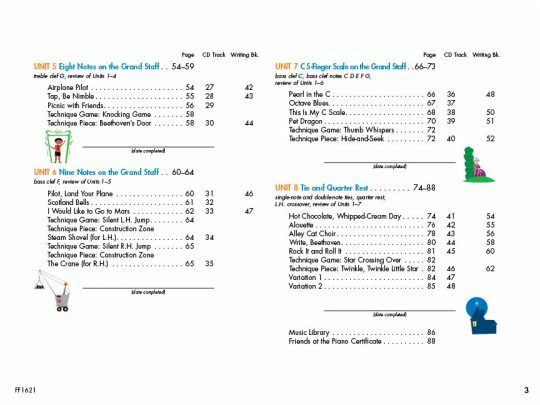 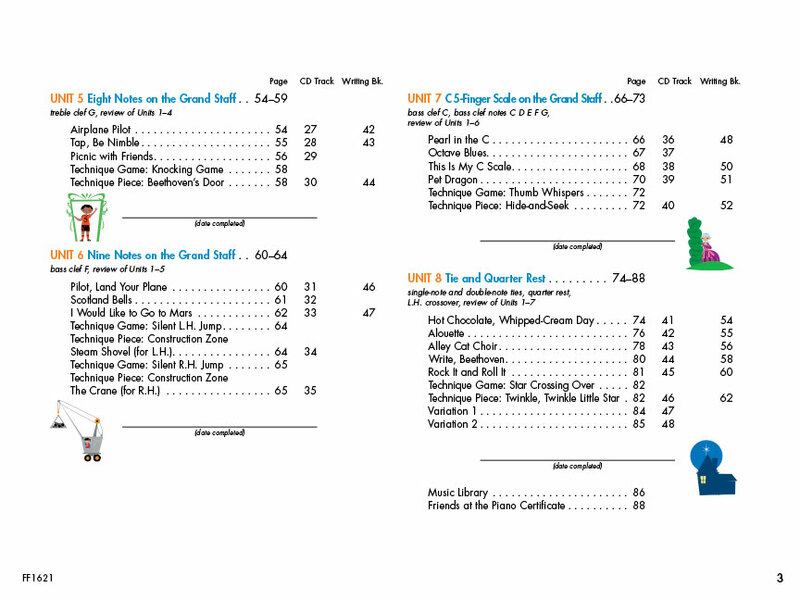 The Book B CD presents a vibrant mix of sounds, from boogie to Beethoven. 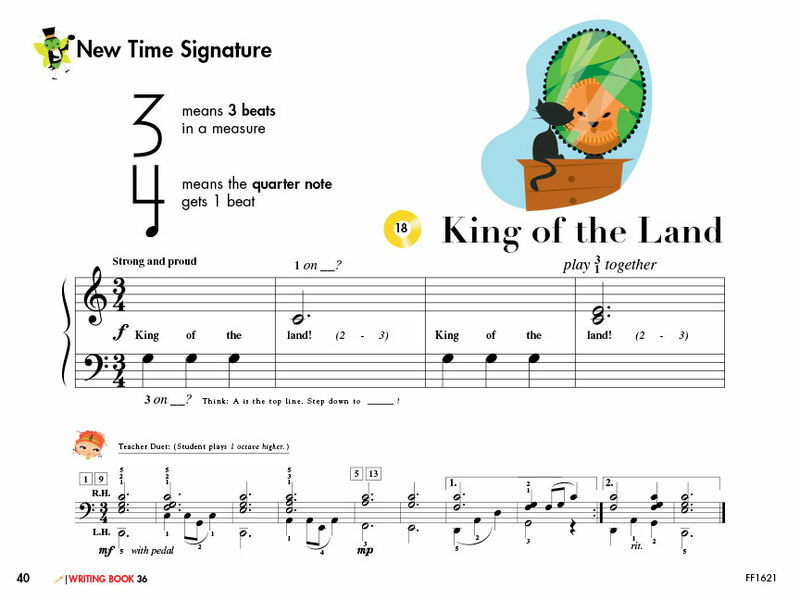 It serves as a listening CD which educates and as an accompaniment CD for play‐along.